Does it make sense to run parallel storage infrastructures for all the tasks you need to do? A lot of IT managers are doing that – one infrastructure stack for physical servers, another for VMs, SAN for some applications and NAS for others, still more silos for backup, DR, etc. What a headache. And virtualization, while offering great benefits, often turns out to be the straw that breaks the camel's back. I've spent a fair amount of time lately on BYOD (Bring Your Own Device), mobile devices, and related issues around information/cyber security. Yes, we are still firmly in the hype cycle but some mobile device security patterns are starting to emerge. Salesforce.com is preparing to release an update to their Social Enterprise platform, Chatter in the upcoming weeks. Chatter is Salesforce.com’s entry into the social portal category, sometimes referred to as enterprise social networks. It provides an activity stream tied to Salesforce.com applications as well as most of the usual Social Enterprise features such as microblogging, file sharing, groups, etc. One area where Chatter has shown some weakness has been in internal messaging. Salesforce.com previously released an internal messaging feature that was somewhat like internal e-mail. This messaging feature allowed Chatter users to create private message streams between individuals or groups of users from just about any place that you see the name of another user or from the My Messages page. I'm in Vegas, embroiled (though luckily not broiled, I'm staying in the a/c!) at EMC World and one of the most notable things has been the range and extent of EMC's reach into IT. From servers and big data analytics to open source cloud and collaboration tools, it's a big smorgarsbord! I'll package up some thoughts in a blog once I get back to the real world. This week at EMC World, EMC announced it acquired Syncplicity, an online file sharing and collaboration service vendor. Software-Defined Networking or SDN is making a lot of noise in the press right now (this blog included), yet many are still confused about what SDN is and what is best way to build one. While many enterprises are just beginning to explore this technology, large telcos and cloud service providers are much further along, testing and deploying SDN technologies in production environments. There are, however, a number of different technologies or approaches that can be used to create a Software-Defined Network. Depending on which vendor you speak to, the answer will vary. I was reminded of this during a recent conversation wtih ConteXtream, an emerging technology vendor in the SDN space that offers a different approach to SDN as outlined below. While most folks know me as a data protection guy, a few might recall that I was also the senior product manager for some of the “systems monitoring” technologies at Microsoft, including the recently released System Center Operations Manager 2012. So, it’s been a special thrill to take an early look at EMC’s DataBridge Enterprise Monitoring solution, which was announced at EMC World 2012. When most folks think of EMC, they think of storage (which is reasonable) – and administrators of EMC storage have long been using EMC ProSphere as their storage monitoring solution of choice. Of course, as a backup guy, I and others can look across EMC Backup Recovery Systems’ portfolio of EMC Data Domain, Avamar, and Networker technologies through its Data Protection Advisor (DPA) monitoring tools. It turns out that EMC’s portfolio offers at least 6 appreciable monitoring tools (including its also recently announced EMC AppSync) that a full time administrator of one thing, such as backup or storage, might be happy to live in. But most IT pros today don’t do just one thing anymore. In addition, business stakeholders are increasingly asking for visibility in the platforms that they rely on (or perhaps even paid for); but those IT pro-centric tools may not be the right views to give them. Similarly, application owners and virtualization managers are also looking for how the underlying systems are doing. To address all of those needs, EMC will be delivering EMC DataBridge later in 2012. Essentially, it is a “mashup” platform that gathers data from the EMC tools above, as well as third-party technologies – and then enables you to build dashboards, using customized “widgets” or instrumentation that makes sense for you. With EMC’s deep understanding of enterprise infrastructure across its storage portfolio, some of the most robust initial widgets deal with chargeback, as well as utilization. Over the next several months, I expect that we’ll see more about DataBridge, not only from EMC but also from the partner community that EMC is cultivating. In a perfect world, EMC might only provide the framework and instrumentation widgets and its community would create the modules that create insight into the applications and resources (similar to another monitoring solution that I am familiar with). On May 21st 1952 - exactly 60 years ago today - IBM introduced the world's first tape drive for data storage. If this is not evincing the 'ooohs' and 'aaahs' from you that it should, it's because you are looking at this through your 2012 eyes, and not realizing how big a deal this was in a world that was used only to punch cards. There once was a time when companies had to "wait and see" if a change in a product or service would prove profitable or not. Back in 1985, the Macintosh had just debuted the year before, the IBM PS/2 was still two years away, and - perhaps most infamously in the annals of business - Coca-Cola introduced "New Coke". It took three months before the company announced they would bring back the original formula as "Coke Classic," and even longer for it to return to store shelves. New Coke survived in some form until 2002, some 17 years later, before finally disappearing from the market. Over the past few years, a number of independent Security Information and Event Management (SIEM) vendors were acquired by bigger players. In late 2010, HP scooped up market leader ArcSight for $1.5 billion. Last year, McAfee purchased Nitro Security while IBM acquired Q1 Labs. How Safe Is Your Social Enterprise? The Social Enterprise has progressed from being a toy for kids to being a real enterprise software tool. From its beginnings as individual communication tools to “Facebook for the enterprise” and now as a social process engine, the Social Enterprise has grown up. As a quickly maturing technology, Social Enterprise software can no longer hide behind the moniker of “new” or “immature” and expect IT to spend large amounts of money on it. Vendors cannot proclaim the value of this new software and not address how to protect it. This is a typical problem of course. New technology drives changes in the overall IT ecosystem. For awhile there are glaring holes in the ecosystem which represent significant risk to organizations using this technology. For Social Enterprise, data protection is one of those holes. The two primary questions that users need to ask themselves when deploying a software system that has important, valuable, or mission-critical data is “can I back it up” and “can I get it back?” Not only do you need to know how to back up and retrieve important data but how fast you can get it back (RTO), how far back in time you can retrieve it (RPO), and what level of object you can retrieve. I worry that these questions are not being adequately answered in the rush to implement social technology. 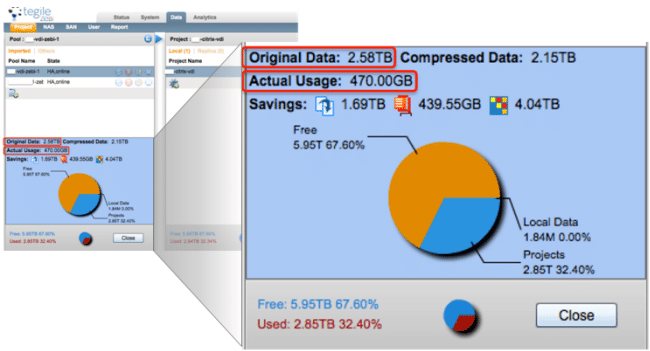 Solid-state Storage Speeds Savings and Profits? Solid-state Storage (SSS) is definitely a 'hot' sector of the storage market these days. After a gradual uptick in adoption over the last few years (since versions of the technology have been with us for more than three decades!) it looks as if the 'hockey-stick' of user-embrace is now occuring. Hi there - I hope you can see this - it's the first post on our new website! 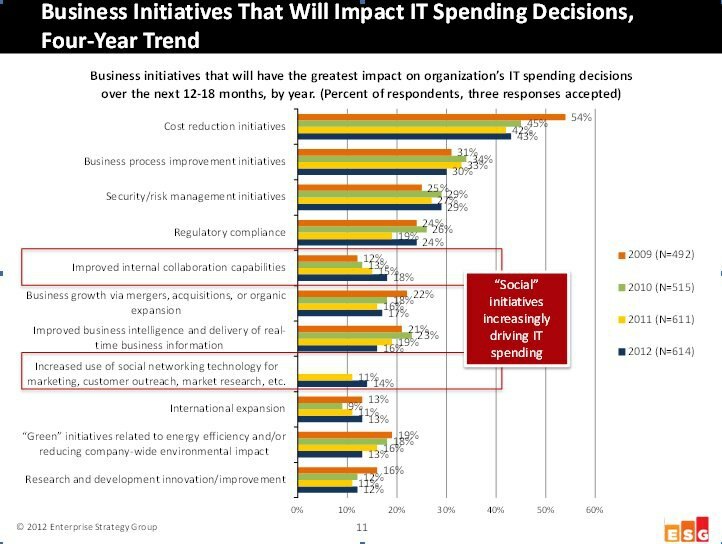 Just about everyone I speak with – vendors, IT managers, even end-users – agrees on one thing about the Social Enterprise. They all say that it needs to be tied into everyday work, to what the average knowledge worker does on a regular basis. New research by ESG shows that end-users are not regular users of social tools, only occasional ones. This bodes poorly for the Social Enterprise since its real value will only come when everyone becomes a participant. The common wisdom – an idea I share – is that social tools will become more valuable when they directly enable or enhance existing business processes. If end-users can use an internal messaging feature to find out why their expense report is held up and have the response be part of the expense report workflow record, then they will see value in it. If, instead of passing a work document around to create a piece of marketing collateral, end-users can use group document creation and micro-messaging to collaboratively build it, they will see value in it. When the Social Enterprise ceases to be another thing they have to do and becomes part of what they already do, they will see value in it. Having left Las Vegas in the rear view mirror and enjoying a lengthy plane ride home gave me time to reflect on my time at Interop 2012. As the title of this blog indicates, many that I spoke to felt as though the show this spring had a definite network focus. You might be saying, duh, it is a networking show, and you would be correct, but there seemed to be less cloud washing and more about the Network, like Software-defined Networking, support for BYOD environments and even low latency Ethernet. Some of this was evident in the awards given out. NEC took home a best of show (and category) award for its Programmable Flow Controller, Gnodal picked up a e award for its new high density low latency switch and Citrix won a category award for its VDI in a box solution. Trying to explain to my friends and family what it is I do is always an interesting conversation, but every time I mention I work with companies like Citrix, they immediately reply “oh, the GoToMeeting company.” While that is true, it is an astute observation and an impression Citrix is out to change. Is Citrix the “online meeting and collaboration company,” the “application delivery company,” or the “cloud company?” Citrix would like us to associate them across all these categories, but the fact remains that most customers would say they are a XenApp, GoToMeeting, XenDesktop, etc, customer, but few are Citrix customers consuming across each of its portfolio of products. At Citrix Synergy 2012 they focused on three themes that have the potential to influence customers to rethink Citrix. I’m here in Las Vegas wrapping up Interop 2012. I now understand why Hunter S. Thompson binged on alcohol and narcotics when visiting this town — you need these substances to create the illusion that this town is the least bit palatable. Cisco SDN. Cisco CTO Padmasree Warrior stunned the audience when she mentioned in her keynote that Cisco has been delivering Software-defined Networking for 3 years. Hmm, perhaps this is a bit of a stretch, but Warrior also provided a hint around the Cisco/Insieme roadmap when she pre-announced a new initiative called the Cisco Open Programmable Environment (COPE, very clever). Now I know others will write this off as Cisco spin but not me. SDN is inevitable but that doesn’t mean that OpenFlow and a bunch of venture-backed start-ups will take over the world. Enterprises want SDN orchestration and flexibility but they have no intent to throw the Cisco Nexus/Catalyst baby out with the SDN bath water. Cisco knows it has this advantage but also recognizes the software opportunity SDN presents moving forward. I hear that Cisco will provide more details at its customer event next month. With one word (COPE) in one sentence, Cisco’s CTO introduced a dose of sobriety into the SDN/OpenFlow party. A refreshing meeting with Huawei. ESG networking guru, Bob Laliberte, and I met with Huawei to discuss the company’s entrance into the North American market. Huawei was everywhere at Interop and clearly spent a lot of dough to show the market that it is serious about competing. I expected to hear nothing but bravado from Huawei about its success in emerging markets, its rich resources, its product portfolio, etc. Instead, the meeting featured nothing but reality and humility. Huawei will focus first on financially-challenged/low regulation industries that need enterprise-class low-priced alternatives to Cisco. When I asked them how they would address American buyer’s security concerns they admitted that this was the biggest challenge they faced. Huawei also mentioned that it will add developers in the US to customize its product for the local market. So Huawei is really looking for business and technical entry points as a foot-in-the-door and is willing to be patient and build from there. I’m not sure how successful Huawei will be in the good-old USA, but at least it has an intelligent go-to-market plan. BYOD hype and reality. This topic has become prolific in the tech industry and most of the discussion was pretty opaque. I was encouraged by meetings with Cisco, Enterasys, and Juniper Networks who look at BYOD from a multitude of angles including policy, network access control, device controls, security, network traffic, etc. In my humble opinion, BYOD isn’t about iPads and Androids, it’s about providing new tools for employee productivity while addressing any added risk. These companies get this. Cloud and networking. This goes hand-in-hand with SDN as everyone realizes that the network (L2/L3) and network services (L4-L7) must be available in both physical and virtual form factors. I’d give the industry a B+ for creating technologies for this transition. Unfortunately, the industry would receive a grade of D for educating IT professionals on how to progress through this transition. We need to focus less on Silicon and more on Carbon here as overwhelmed IT professionals need guidance, support, and lots of help. Allowing just long enough for the rumor mill to quiet down a bit after the first suggestions that EMC would buy the Israeli flash array company, XtremIO – and hence at least guaranteeing a second round of publicity! - EMC confirmed this morning that it is indeed breaking into its piggy-bank to buy the start-up. I say ‘piggy bank’ somewhat tongue-in-check. Although no price for the cash purchase was declared, the rumor mill and various ‘close to the president’ sources put the amount north of $400M; that may not be huge for EMC but it is huge for XtremIO (only at early stage VC funding) and it is certainly significant for the storage industry. XtremIO is developing and testing an all-flash array (it is not yet at GA), designed to be scale-out and with a full suite of storage functionality. Last month, I had the chance to speak with Joel Reich who heads NetApp’s Array Products Group (APG). The conversation was to formally mark the completion of one full year since NetApp acquired the Engenio business from LSI. The first extract from our conversation was posted on 4/24 (there’s a link here) and today – exactly a year from the deal closing – I am delivering the concluding comments. People think about flash as a component of something. I think about it systemically – not inside a system, but inside the entire data center. The one who can orchestrate cache on flash throughout the entire data center is the one who will own the keys to the kingdom. Am thrilled to announce that I will be speaking at Symantec Vision 2012. Sometimes it seems as if there's an inverse relationship between the amount of industry 'noise' about something and the degree of user clarity about the choices, uses, and value of that something. So it is with solid-state storage. Time for a snapshot on how corporations are coping with e-discovery. 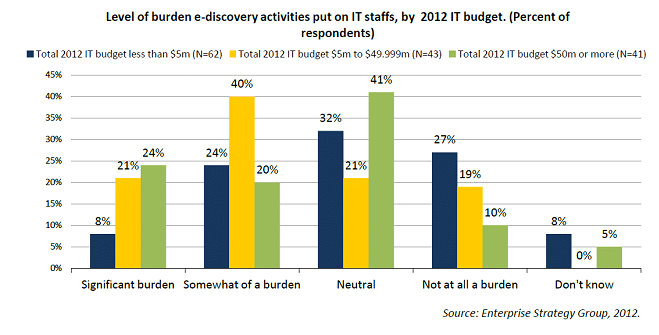 As part of ESG's 2012 IT Spending Intentions Survey, we asked organizations to gauge the burden e-discovery activities place on their internal IT staffs. VMware = Identity. Who Knew? That's a good question actually. How many people know that VMware is in the identity business? With the announcement of Horizon today, VMware makes a solid entree into the identity market with a solution that ties together their core strength, virtualization, with the emerging trends around cloud and mobile devices. VMware coined the term VDI years ago when its virtual desktop product was so creatively named VMware VDI. Since then, VMware changed the product name to View and has been working hard to take advantage of its strong vSphere footprint inside the data center. Today, VMware announced its latest release of View which is important, but not as interesting as a few other announcements the company slid in. 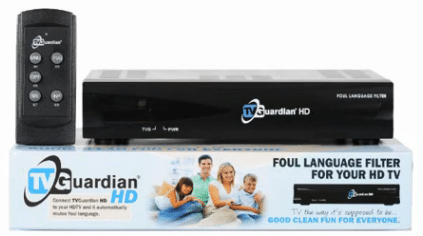 One of my New Years Resolutions was to protect what my kids hear on TV ... without being an ostrich in the sand and isolating them from the world. IT will resist as long as they can, but when it comes to purchasing infrastructure for virtual computing environments and cloud computing initiatives, the do-it-yourself (DIY) model is becoming a thing of the past. Instead, the new IT consumption model is moving toward reference architectures or pre-configured solutions. Integrated computing consists of tightly integrated packages of servers, networking, and storage "glued together" by virtualization and intelligent management software designed, tested, and qualified to operate as a single unit. While cybersecurity legislative generally proceeds at a torpid pace, the U.S. House of Representatives actually passed the Cyber Intelligence Sharing and Protection Act (CISPA) last week. The bill now proceeds to the Senate and may end up on the President's desk.